Buso Renkin is a manga series written and drawn by Nobuhiro Watsuki, the creator of Rurouni Kenshin, with occasional writing assistance from his wife Kaoru Kurosaki. 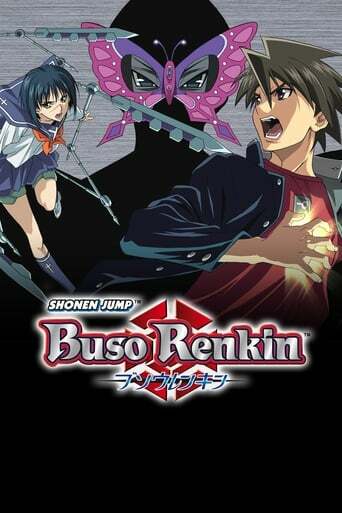 Buso Renkin was serialized in Shueisha's shōnen magazine Weekly Shōnen Jump from June 2003 to 2005, ending at 80 chapters. The individual chapters were collected by Shueisha into ten tankōbon volumes which were released between January 5, 2004 and April 4, 2006. The series has been licensed by Viz Media for North American release. The manga has been adapted into an anime television series by Xebec, which finished its run in Japan with a total of 26 episodes. On April 27, 2009, the series made its North American television debut on the Funimation Channel. There are also two drama CDs, two light novels, and a PlayStation 2 video game based on the series.